Rudy, Exelrod, Zieff & Lowe, LLP, and its attorneys are consistently recognized by our peers as leaders in the representation of employees. Our depth of experience in individual and class action litigation and unwavering commitment to excellence have resulted in some of the largest and most important verdicts and settlements ever recovered in employment law cases. Our firm pioneered the use of class action litigation to recover unpaid overtime wages for employees and achieved the largest jury verdict in history in an overtime case, Bell v. Farmers Insurance Exchange. The firm has also litigated numerous landmark individual cases that resulted in multi-million dollar jury verdicts and settlements in cases involving sexual harassment, race discrimination, age discrimination, retaliation, violation of family/medical leave laws, and wrongful termination in violation of public policy. In addition, our firm negotiates and litigates claims relating to employee stock options, unpaid incentive compensation, breach of contract, violation of the WARN Act and other statutes, and claims involving U.S. citizens working overseas. The firm also offers highly-regarded mediation services. Our attorneys focus exclusively on employee representation and frequently share their knowledge of employment law by writing books and articles and lecturing at conferences. We combine our expertise and litigation experience with creativity, thoughtful strategy, and a passionate desire to help our clients achieve the best possible outcome at the negotiating table or in the courtroom. 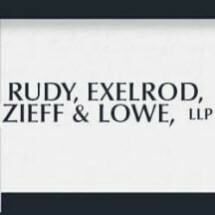 Based in San Francisco, Rudy, Exelrod, Zieff & Lowe's employment attorneys represent employees working in California, across the nation and in the global workplace, including cross-border employees and military personnel deployed overseas. Our attorneys frequently earn recognition for their employment litigation achievements, including recognition for their multi-million dollar verdicts and settlements in cases brought in California and throughout the Nation. Please contact us to discuss your employment law matter.